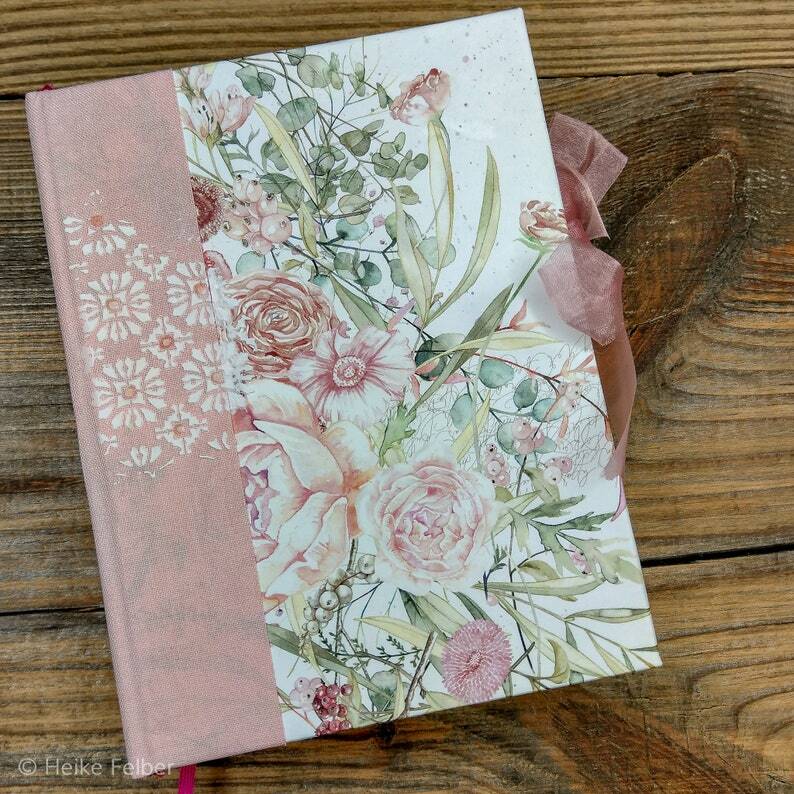 This Notebook is hand-bound in the Format 12 x 16 cm as a closure serves a delicate Organ band in pink, with Capital tape and Bookmarks. There's plenty of Room here for your Thoughts, Ideas, Quotes, Memories and more. It contains 144 Pages in cream white and blank.